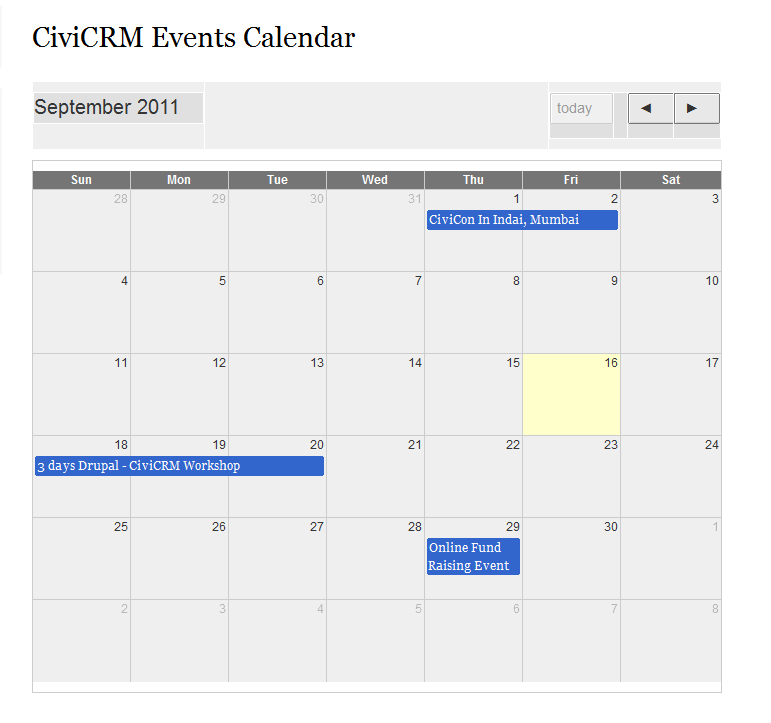 How can I show CiviCRM Multi-day events on drupal calendar module (Not fullcalendar), civicrm Entity module and views in drupal 7 ? This is available as a CiviCRM extension. Under the administer tab, click "customise data and screens". You should see a "manage extensions" link - hit that. In the extensions manager, click on "add new". Look in that list for the calendar, then install it! If it‘s not in that list for you then please post back including your civi version. Not the answer you're looking for? Browse other questions tagged drupal drupal-views civicrm-entity calendar or ask your own question.